Slide marker shows tension on an inch-pound scale. The wrench has a range from 0 to 200 inch-pounds graduated in 10 inch-pound units. 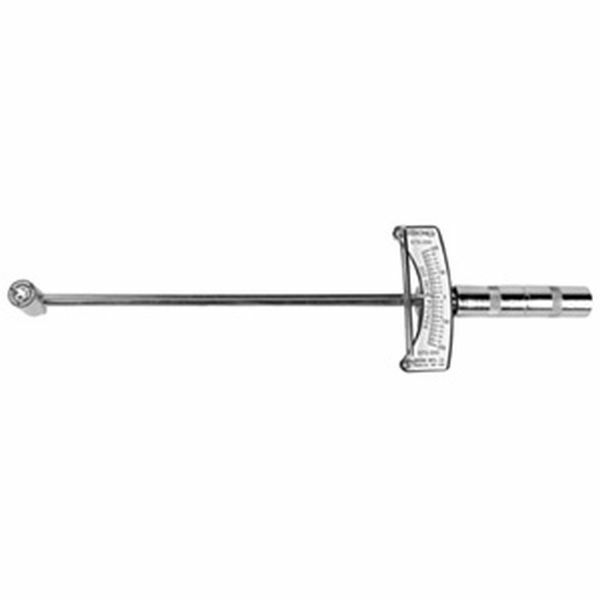 For measuring tuning pin tightness. Wrench has 3/8" drive, 12" overall length. Supplied with a # 23 3/8" ratchet head. This is a must tool for pro technician.